CPR Tools, Inc. is a woman-owned small business, owned and operated by John and Sue Benkert. The Benkert’s began working for CPR Tools in 2004, John as a Senior Computer Scientist and Sue as the office manager. There were seven employees when John started at CPR Tools. He quickly determined the company’s potential went beyond data recovery services. He hired several hardware and software engineers and began designing and building products for the data recovery and security markets. In 2011, the Benkert’s acquired the company, Sue serving as CFO and John as CEO, and employment has since expanded to 28 employees. While CPR specializes in data recovery, eradication, advanced repairs, and data security, they also offer training and research services. Some of their largest contracts come from national and local law enforcement agencies, as well as internet technology companies. In 2005, the company sold its first designed and built data recovery product, PSI CLONE. In the two years following, two new products were released. 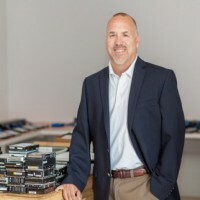 John continually develops new products for data recovery and data security, all while continuing to offer those same services to their customers. John Benkert has a diverse background in both commercial and government organizations, with over 25 years of accomplishments in the areas of technology and national security. John is a veteran and served in the United States Air Force USAF for over 20 years. He is a major advocate of small business. John really appreciates the help the Florida SBDC at Florida Gulf Coast University (FGCU) gave them when they were starting out. The Florida SBDC at FGCU helped answer a lot of questions that helped John transition from government work to small business ownership. John had a learning curve when he first acquired CPR Tools and attributes credit to Kevin Brady, International Trade Specialist for the Florida SBDC at FGCU. Brady created an export marketing plan for CPR Tools to assist them in expanding into worldwide markets. In addition, the Florida SBDC at FGCU is credited with helping create impactful connections between CPR Tools and FGCU, as well as the University of South Florida. As a testament to CPR Tools’ success, John Benkert was awarded the 2016 Distinguished Business Innovator of the Year award by the Florida SBDC at FGCU for his commitment to the development of technological advances in the field of data recovery. "﻿I would recommend the Florida SBDC to anyone who asks me (where to go for assistance)." - John Benkert, CEO - CPR Tools, Inc.